Want to be a part of the first community refugee sponsorship in Scotland? 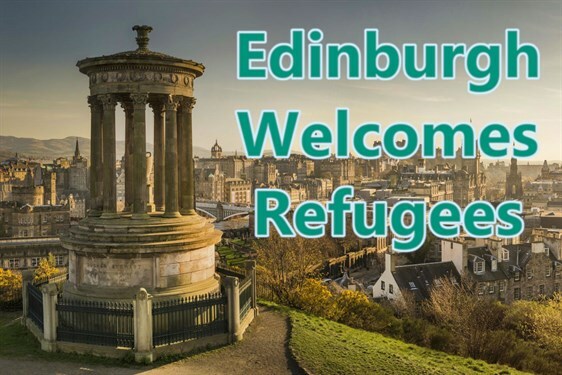 We are a small group of Edinburgh residents bringing a Syrian refugee family to our city under the community sponsorship scheme. Our family will be joining us at the end of May – mum, dad, and four young children, including a small baby. We’ve already raised enough to give them a good start, including language lessons and enough money to let them settle in. But we want to do more. At a minimum, we’d like to raise enough money to furnish the flat completely, to provide at least a month’s worth of bus passes for the family, and to cover their bills until the benefits kick in. We’d also like to provide a deposit on the flat that we can donate to the family, and to raise a bit extra for anything unexpected. If you would like your donation to go toward one of these budget items specifically, please just leave a comment saying as much. Thank you for helping us give this family the best possible start! Sponsor Refugees is the CitizensUK Foundation for Community Sponsorship of refugees, placing civil society at the heart of the #RefugeesWelcome movement. 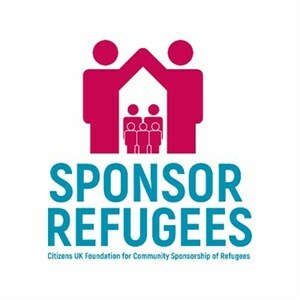 We promote and celebrate Community Sponsorship of refugees across the UK. We provide support and advice to Community Sponsorship Groups. I hope the family will be very happy in Edinburgh. Glad to do something to support refugees in Edinburgh. Well done for getting this off the ground. Well done, team! So excited for you to be welcoming your first family! So incredibly proud to see all the work you all have done. Good luck with your worthy cause. Well done on caring for a great cause! I am proud of you!